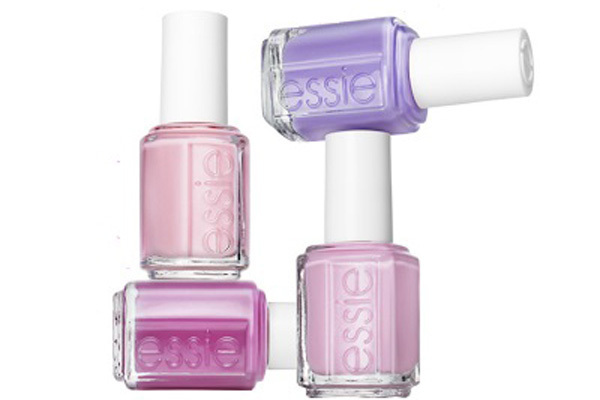 Each year Essie releases a new Wedding collection, soft shades suited for the brides-to-be. These collections don’t feature sheer pinks or pale whites though! No, Essie pushes the envelope with subtle colour and creamy candy hues. Who said that wedding nails had to be boring? 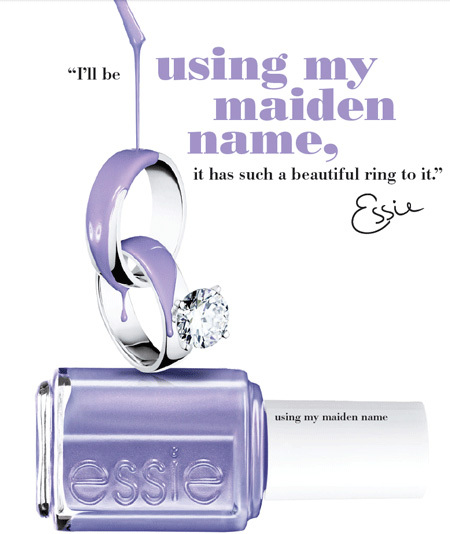 We’re happy to announce the new Essie Wedding 2013 shades! Let’s take a look. These four new shades make up the Essie Wedding 2013 collection. Pastel pinks, lavender and a soft fuchsia. These shades are the perfect addition and soft pop of colour for a bridal look. The star of the collection is Essie Using My Maiden Name. This is the shade we’re most excited about! This beautiful soft lavender periwinkle colour is certainly going to leave a lasting impression. It’s subtle, feminine and certainly not boring! This collection will hit the shelves around May 2013 but we have it available now for pre-order on our site, Phoenix Beauty Lounge. Would you wear any of these shades to your wedding? Or are you dying to get your hands on these anyway, wedding or not? 🙂 Let us know in the comments! This entry was posted in Collection previews and tagged essie, essie 2013, essie nail polish, essie wedding, essie wedding 2013, nail polish by phoenixbeautylounge. Bookmark the permalink. Hi! I love this collection , bought 2 of the colours and have gone in the store 3 times for the last 2 months looking for the colour No Baggage Please and not in stock. Can you tell me when you will get more of that colour in please? That way I can plan my visit to your store accordingly. Thank you. Hi there Connie, thanks for your question. No Baggage Please is a very popular color; we get it in almost every week and it sells out within a day or two every time. If you’d like, you can call the store and we’ll gladly put it on hold for you so you don’t have to guess when it’ll be in stock. We hope to hear from you soon and sorry you’ve been looking for so long! Thanks Nicci! Great meeting you today. I know this colour is old, but it came out with the Pirates of the Carribean collection I think last year or 2 years ago , this colour called Gloss and Bones I think. Do you have that in stock please. Thanks again Nicci. The color Skull & Glossbones is from OPI’s Pirates of the Caribbean collection, and I do have one bottle in stock. If you’d like me to put it on hold for you, please give us a bell during opening hours: 905-604-7177.